Mali Mish - Day 153: Crane Point Museum, Nature Center and Historic Site. Day 153: Crane Point Museum, Nature Center and Historic Site. Just so that our stay at Curry Hammock is not completely devoid of adventure, we did manage to make it out of our state of relaxation for a little sightseeing. 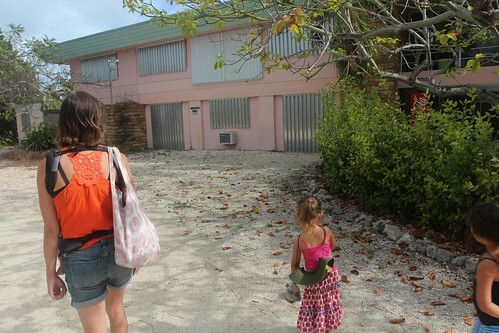 While at Bahia Honda, we made a day trip to Key West. 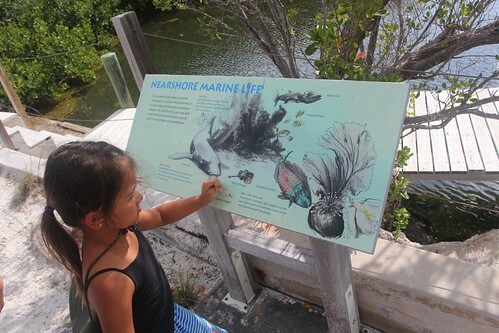 During our time at Long Key, we drove up to Islamorada for an afternoon at Robbie’s marina. 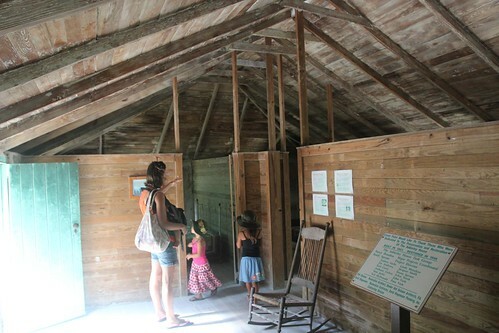 Here at Curry Hammock, it is Crane Point Museum, Nature Center and Historic Site. 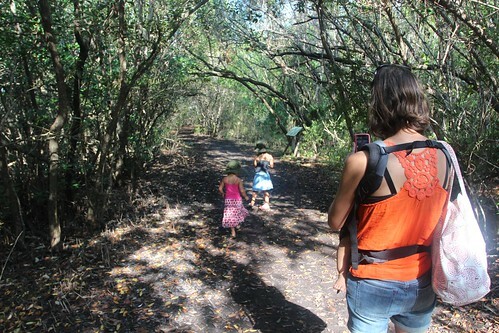 Crane Point is a privately owned nature preserve right in the middle of the city of Marathon. 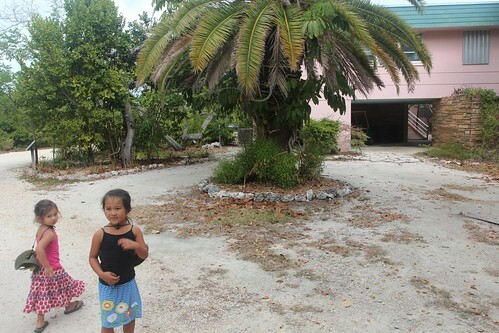 In fact, it is right across the street from probably the most populated area of the middle keys. Directly across the street is the shopping center with Bank of America, K Mart, Winn Dixie, Publix and McDonald’s just to name a few. Crane Point is sort of setup like a national park with a visitor’s center right up front with indoor exhibits. 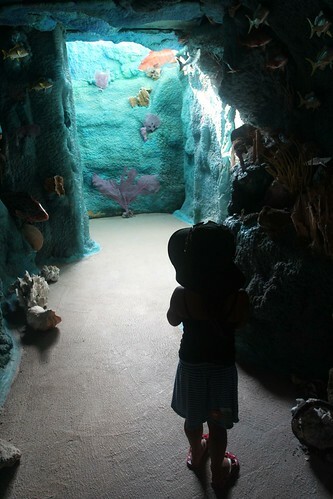 Ava for some reason was really scared of the underwater scene in the middle of the room. I could not get her to walk through there by herself. 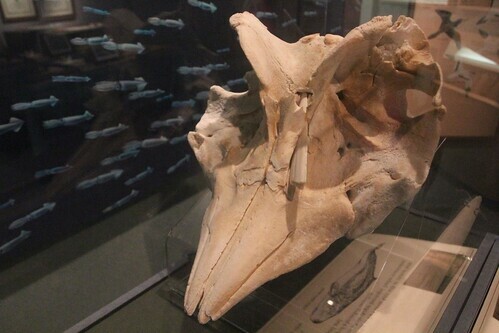 The exhibits showcase a lot of local wildlife including the skull of this whale who’s untimely demise was caused by a collision with a sailfish. Note its left ocular cavity where the spear of the fish entered its skull. 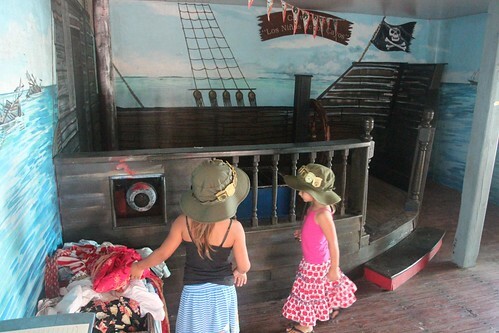 The lady at the entrance was raving about how they had a pirate ship that the girls would love playing at. I think she over sold it just a tad. The property was initially owned by George Adderley back in 1906. At that time, there was no city of Marathon, no Overseas Highway, only a year later did the Flagler railroad open for business to transport people from the mainland down to Key West. This property was a homestead. Everything George Adderley needed, he had to produce, or go out of his way to trade for. 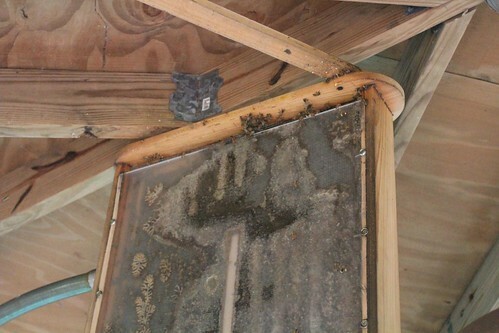 This photo is a colony of bees that is kept here to help with the pollination of the native plants. George Adderley may have had his own colony of bees to help him do just that. Before people moved down the Key Vaca and the city of Marathon, the whole place looked probably much like this. In fact, there wouldn’t even have been paths like this. It would have just been a jungle of mangroves. If you are scared of spiders, don’t veer too far off of the trail. These suckers are big and they are everywhere. 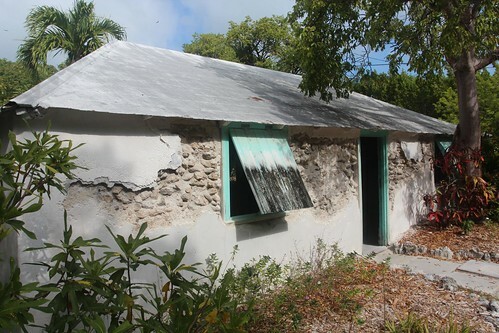 This is the George Adderley house. It is made primarily of a concrete like material using sand and rocks that he could find right on the island. The building is basically just a large hut that he managed to build with limited tools and capabilities. It has been restored to reflect how it would have looked like over 100 years ago. 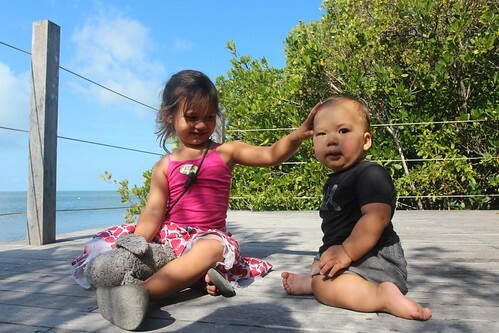 One of the things he did around the property is to collect sponges along the shore. He would take his boat out, collect sponges from the bottom of the shoreline and sail down to Key West to trade for whatever other supplies he needed. Another thing he did was to make charcoal. Charcoal is an important asset for a homesteader as it was used for various purposes. 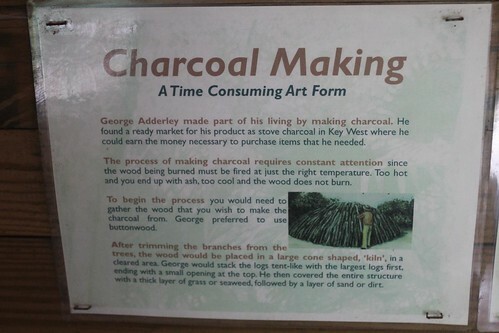 George Adderley made his own charcoal from the local vegetation and traded and sold them to other people who would use them to warm their homes, cook their meals and even filter fresh water for safe consumption. 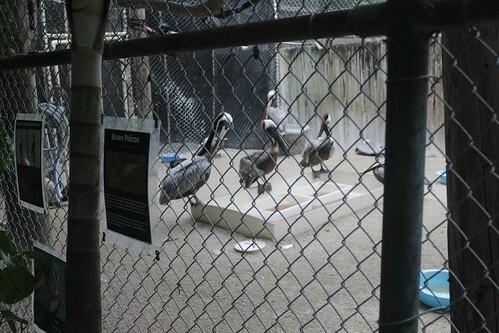 Crane Point is also home to a wild life rehabilitation center. 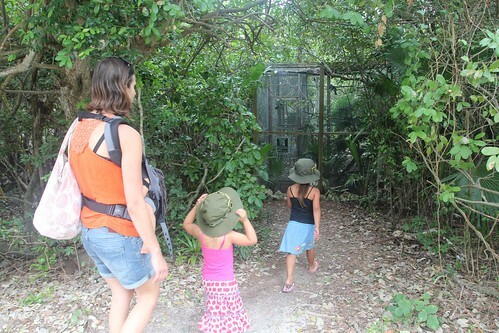 Marlene had done a lot of volunteering work with wild birds before we started having kids. Her specialty was hummingbirds. We even at one point had a baby opossum that we took care of before releasing it back into the wild. Now that we have little baby birds of our own, the wild ones will have to wait. Most of the rehab birds here are shorebirds like ibis, pelicans and herons, however there are also a fair number of raptors here. 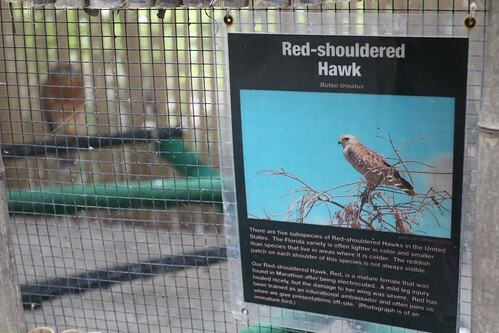 Red-shouldered hawks and American Kestrels are some of the more common raptors found here in the keys during the fall thru the spring as they migrate. 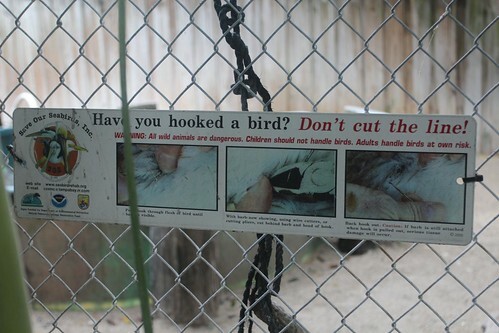 Because there are so many fishermen here in the keys, pelicans are often accidentally hooked. For the sake of expediency, they often just cut the line and leave the hook inside the animal. In can cause serious harm to these native birds and many of them are here for just that reason. Many of these birds are just here to rehabilitate and will be released once they are healthy. But not all of the wild life here is releasable. When an animal can no longer survive in the wild, there are only 2 options. It can either be euthanized, or it can stay at the wild life facility to serve as an educational animal. That is assuming there is enough funding and volunteers to take care of them. 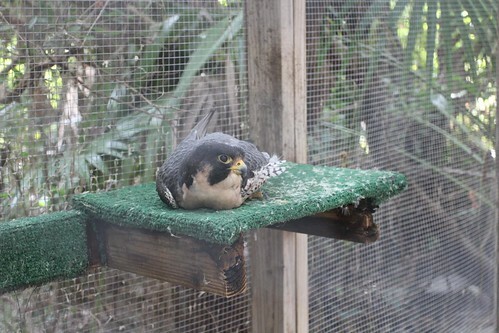 This Peregrine Falcon was injured and lost an eye and has a permanently damaged wing. Being not able to hunt for its own food, it would not last more than a few hours in the wild before either falling prey or getting run over by a car. It is pretty amazing to see these creatures here and a great opportunity for the kids to learn about them and their habitat. In 1949, George Adderley sold the property to a couple from Massachusetts named Francis and Mary Crane. They were a fairly wealthy couple who were also preservationists and horticulturists. They built a causeway on the property so they could build their home closer to the water than where George Adderley did his. At the time, this was a cutting edge modern home. 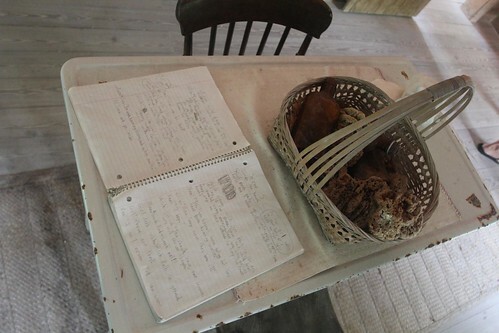 As it is currently under renovations, we were not able to tour the house. 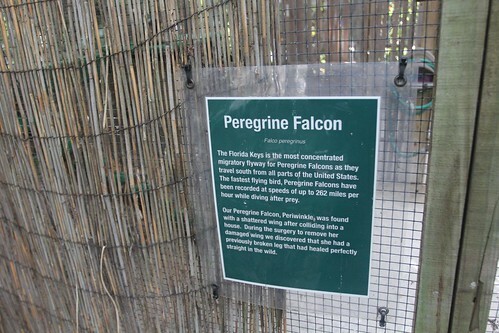 The Cranes retained the property until the 1970s before allowing the Florida Land and Sea Trust to take over and continue their preservation efforts. 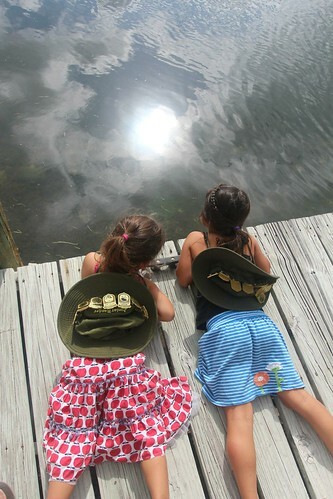 Near the point, there is a small bock dock that the girls loved laying down at and looking into the water. It is hard to see in this photo but there are hundreds of fish swimming around the dock. Their favorite was the Spotlight Parrot Fish which has beautiful coloration like a parrot. 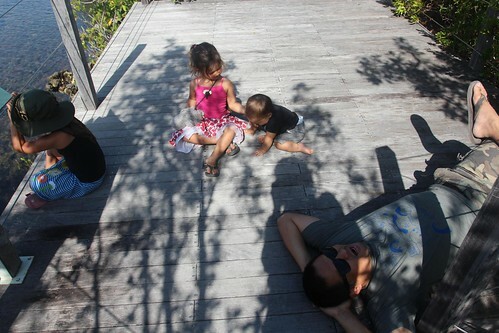 There is a boardwalk also that takes you out over the mangroves to see even more wildlife. Luka now loves being on the ground on his own. Not quite as mobile as he likes to be but it won’t be long before he masters this crawling thing. That green and red fish on this picture is the Spotlight Parrot Fish. And yes, the scary looking one on top is indeed a barracuda. They are out there somewhere. Even a grown man needs to lay down and relax for a minute during a long walk. 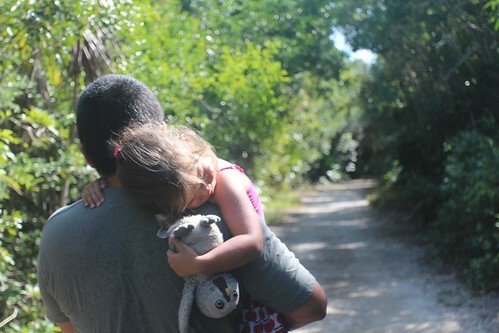 Especially since he has to carry a tired little girl all the way back to the car. 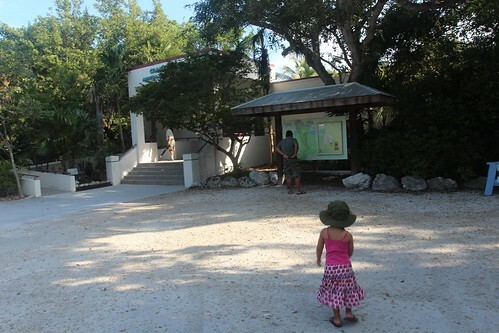 Before we wrapped up our visit here, Ava wanted to walk through the visitor’s center again. I think she wanted to show me that she is no longer afraid of the underwater tunnel. This exhibit shows some of the treasure recovered along the shoreline from shipwrecks dating back to the Spanish conquistador era. 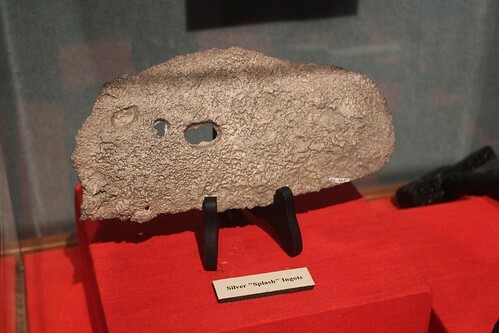 This is what is left of a silver ingot that was once aboard a Spanish ship. I don’t know about you but all I see is a ’63 Tradewind. On our way back, we finally stopped by a little local diner that Marlene has had her eye on all week. It’s a little cash-only place called Stout’s. 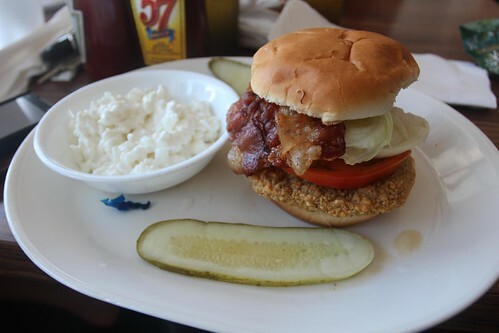 This is their Steak sandwich. It is actually a country fried steak which I didn’t expect and was not clearly stated on the menu. But it was delicious and very reasonably priced. 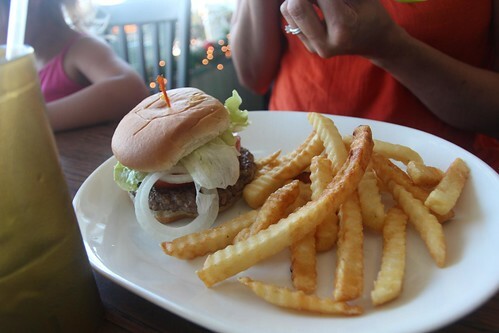 Marlene had a basic burger and fries which was also pretty tasty. I think our whole meal for 5 came out to less than 20 bucks. 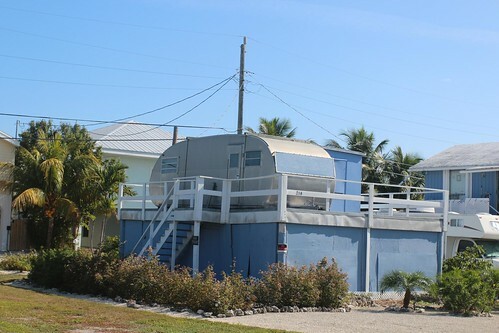 If you ever come to the keys and want to get a bite at Stout’s, just look for this Spartan sitting on the roof of a garage. I am guess this has to be the only one. 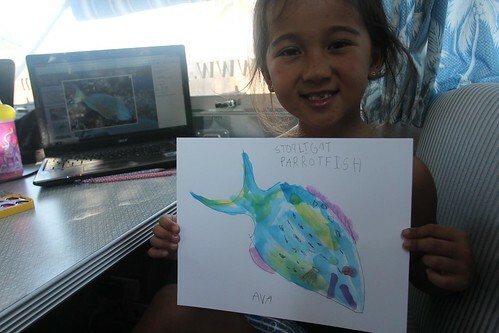 Back at Curry Hammock, Ava was inspired to make a watercolor of her own Spotlight Parrot Fish. 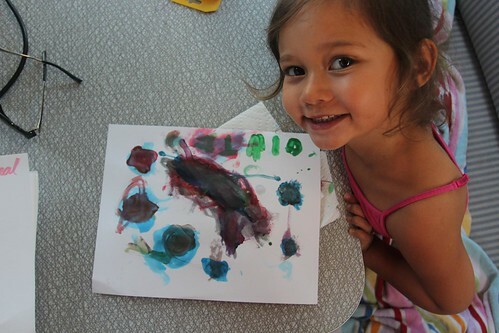 Maybe it’s because she is my daughter but I think that is a pretty incredible painting. Mila, well, she is getting there. Teacher Marlene even got inspired to paint a picture of her own. And yes, it had to be a bird. Day 152: Hello there, twenty-thirteen! 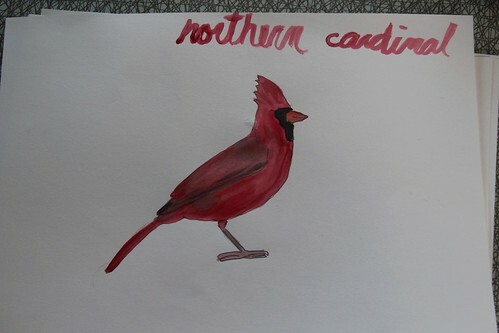 One Response to Day 153: Crane Point Museum, Nature Center and Historic Site. 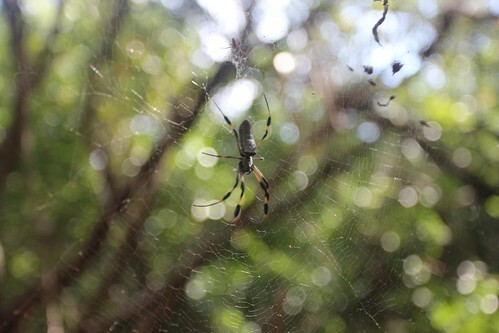 That spider is a Golden Silk Orb-weaver – I’m sure you know that (based on how knowledgeable you seem about stuff otherwise), but I figured I’d just throw it out there anyway. They can get so big. I do not like seeing them at all.